OAKLAND, Calif. -- If Golden State Warriors head coach Steve Kerr feels well over the next few days without any setbacks, there remains some optimism he could coach Sunday in Game 2 of the NBA Finals against the Cleveland Cavaliers, sources told ESPN. "He may coach Sunday. 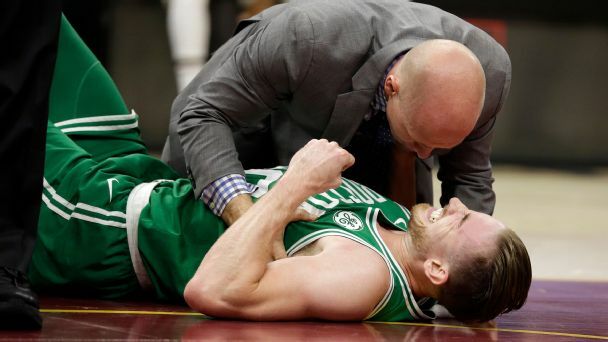 He's feeling better," a source close to Kerr told ESPN's Marc Spears. Kerr had been feeling well enough earlier this week to be hopeful that he would be able to coach in Game 1 on Thursday, but according to team sources, after he had a bad day Wednesday, he decided it was best for acting head coach Mike Brown to continue leading the team. Brown urged Kerr to wait until game time to make a final decision about coaching Game 1, but Kerr felt he needed to string together several good days in a row before returning. Kerr watched Game 1 with Los Angeles Lakers coach Luke Walton as Brown tallied his 11th consecutive victory with a 113-91 rout of his former team at Oracle Arena. Kerr implied earlier in the week that he was aiming to make a definitive decision on his status if unable to coach the opening game. However, general manager Bob Myers told ESPN on Thursday that the Warriors are "not closing the door" on Kerr's return this series and will remain patient to allow him the necessary time to recover, even it happens to occur deep into the series. Kerr doesn't want to be a distraction, but the team doesn't view this situation as such and is committed to seeing the process through. The 2015-16 coach of the year took an indefinite leave of absence during the middle of the first round to find a remedy for the migraines and nausea he has experienced stemming from back surgery almost two years ago. Golden State is a perfect 13-0 in these playoffs, matching the longest winning streak in postseason history.